Understanding hardiness zones and climatic conditions guarantees growing success. The amount of light, food, and water an organic garden receives is only part of what determines whether the plants in the garden will thrive. Climate also plays a big role. The United States is a large country with many different regions and different climates. The United States Department of Agriculture’s Hardiness Zones map attempts to take the guesswork out of gardening by describing the average lowest temperatures for each area. 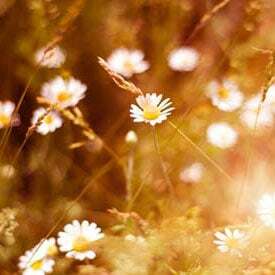 But, hardiness zones only tell part of the story when it comes to deciding on the best plants to grow in each area of the country. The Northeast makes up the states from Maryland up to Maine. Hardiness zones for the region range from zone 8a, with a minimum temperature of 10 degrees Fahrenheit to zone 3b, with a minimum temperature of -35 degrees Fahrenheit. 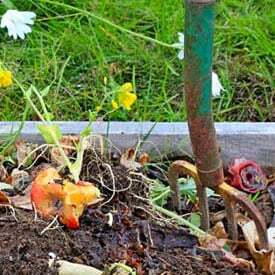 Typically, the gardening season kicks off in late March and early April in the Northeast. Gardeners can start to plant tender annuals, which can’t withstand frost, around the end of May. 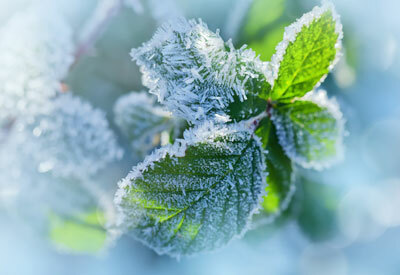 The area can experience unexpected cold snaps at the beginning of the gardening season. Some gardeners will use a cold frame to get a head start on gardening and to protect plants from a random frost late in the season. Got Questions About Vegetable Gardening in Maine? Temperatures in the Southeast – which includes the states of Virginia, the Carolinas, Georgia and Florida – are considerably warmer than in the North. The zones start at 5b, with minimum temperatures of -15. The southernmost part of the region, the tip of Florida, is USDA zone 11a, with a minimum temperature of 40. In some parts of the region, a home gardener can maintain a vegetable garden throughout the year. In cooler areas, a gardener should wait until the danger of frost is past to set out tender plants. A number of plants are native to the area, meaning they thrive in the South with little extra help from the gardener. Some plants are invasive, and will quickly take over a region. It’s recommended that gardeners learn about invasive species so that they can avoid them. Climate becomes more complicated in the western portion of the US. States such as Nevada and Arizona might be in the same hardiness zones as the Virginias and the Carolinas, but the climates are vastly different. Gardeners in the Southwest region need to take not only temperature under consideration, but also humidity and elevation. The Sunset Climate Zones, which are more comprehensive than the zones created by the USDA, might be more useful in the western part of the country. Choosing plants that are native to the region can make it easier to start and maintain an organic garden in a more unforgiving climate. Succulents and cacti, which tolerate drier conditions, will thrive in the Southwest during the growing season, but won’t perform as well in a more humid climate. The Midwestern states, such as North Dakota, Oklahoma, and Nebraska, experience a vast range of temperatures. The northernmost parts of North Dakota are USDA hardiness zone 3a, while the southern parts of Oklahoma are zone 8a. The Midwest is known for its remarkable flatness, which means there aren’t as many climate fluctuations throughout the region as there are out in the West. Gardeners in the Midwest can typically begin to plant cool-weather crops in late March and throughout April. More tender, warm weather plants, such as tomatoes and summer annuals, can be planted outdoors around the middle of May. 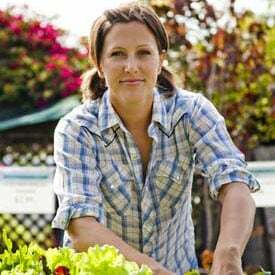 The mountain states, which include Colorado, Montana, and Idaho, present a particular challenge to organic home gardeners. Temperatures are typically cooler, the growing season is shorter, and humidity is low. The region can also experience great shifts in temperature, having a hot summer one year and a cool summer the next. Organic gardeners in the area should try to choose plants that have a proven track record in the region. 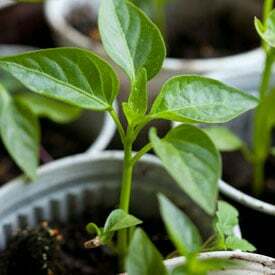 Choosing plants that thrive in hot, humid conditions, such as pepper and tomatoes, can lead to disappointment. The states in the Pacific Northwest, namely Oregon and Washington, are known for moderate temperatures and rainy weather. The wetter weather means fungus is more likely to grow on certain crops in the regions, such as hops and fruit trees. Pruning and thinning the trees helps reduce the fungal growth. 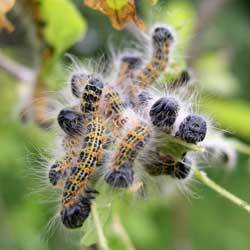 Gardeners in the region can help control pests organically by choosing native plants that naturally deter common garden pests, such as deer, or by choosing plants that attract natural predators to the garden, such as wasps.